David Kraft (PhD) has been working as a psychotherapist and hypnotherapist for several years. He is a member of council for the British Society of Clinical and Academic Hypnosis (BSCAH). He has written over thirty peer-reviewed articles on many subjects including: panic disorder, driving phobia, anxiety disorders, sleeping disorders, hyperhidrosis, sexual disorders, irritable bowel syndrome (IBS), bulimia, anorexia, mouse phobia, agoraphobia and social phobia. 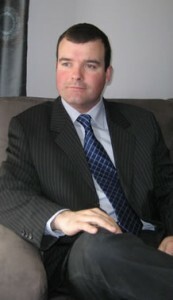 David is a registered UKCP psychotherapist and hypnotherapist. David regularly attends lectures and conferences at the Royal Society of Medicine and meetings organized by the British Society of Clinical and Academic Hypnosis. He also trains health professionals in clinical hypnosis for BSCAH (London Branch). Your first appointment will be a consultation session of one hour’s duration; subsequent sessions last for fifty minutes. To book an appointment, simply ring the Harley Street office (020 7467 8564) and leave both your name and a contact number with my secretary. I will then ring you straight back with an appointment time. Alternatively, you can e-mail me on this website, but please leave a contact number so that I can ring you back. David Kraft is registered with PruHealth and BUPA.